Planes, trains, and boats, oh my! Hear the roar of vintage and modern aircrafts, dine overlooking the Occoquan River, and snap a picture in front of a historic rail car on this adventure through Prince William & Manassas, Virginia. Arrive this afternoon in the quaint waterfront town of Historic Occoquan. You’ll be welcomed by the former Mayor of Occoquan, Earnie Porta, as he takes you on a guided historical tour. He’ll tell you stories about the town’s founders, why the mill was so important, and show you where local artisans have been creating priceless unique works of art for over 40 years. After your tour of the town, stretch your legs by perusing the shops and stores, all of which are independently owned. Find a charming piece of decor for your home at Glory Be or simply browse the dozens of other unique boutiques. Head down the dock for a cruise aboard Miss Rivershore. The entertaining Captain Mark Perry will narrate your journey down the Occoquan River, pointing out wildlife and interesting historical places along the way. You may even catch a glimpse of a bald eagle if you look closely! After dinner, get ready for tomorrow’s look into the sky at the Hylton Planetarium. This technologically advanced dome will take you on a visually stunning journey to the stars and back. From a historical reconstruction of man’s first steps into space to a Laurence Fishburne narrated journey into the depths of the universe, there are plenty of show options to give you a glimpse into the stars. Begin your day in the sky beneath the wings of an AV-8B Harrier “jump jet” at the National Museum of the Marine Corps. The museum tells the story of America through the eyes of the Marines and is a testament to the strength and sacrifice of the Marines and their families. 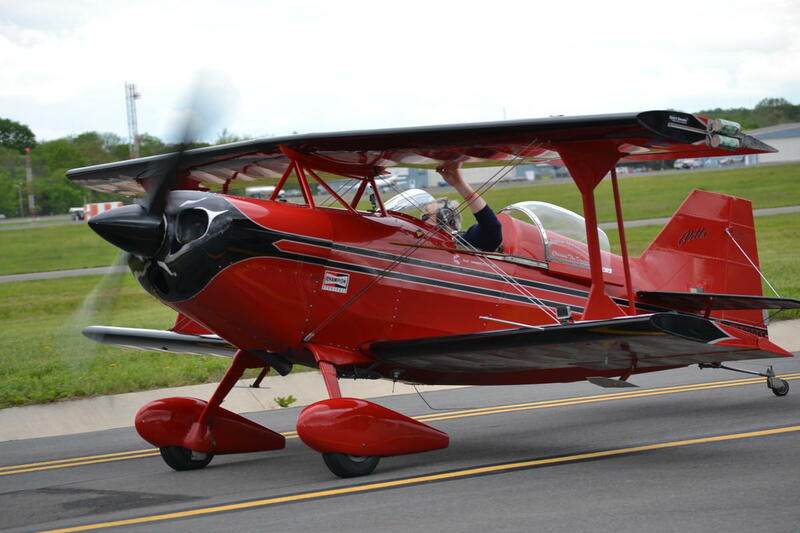 Continue your venture into the sky with your reserved seats at the Manassas Airshow! See high flying demonstrations from antique and modern aircraft such as the P-51 Mustang, A-10 Thunderbolt, and the Aero L-39 Albatross jets. Guests can also get up close to dozens of other airplanes and helicopters while browsing the displays and vendors at the event. Be sure to visit the Freedom Museum during the event, a museum honoring local Americans who made the supreme sacrifice in defense of freedom. After you’ve had your fill of aircraft, return to your hotel to rest and refresh before tonight’s dinner and a show at the Hylton Performing Arts Center. This visually stunning facility offers a “Performance A La Carte” program where you can choose the performance you want your group to enjoy, accompanied by a delicious meal. Select from musical concerts in the style of pop, jazz, classical, or Broadway, theater shows, or an international act. If you’d rather keep it casual, be the co-pilot of a flight of The Farm Brewery at Broad Run beer. A true farm brewery, the owners grow their own hops and fruit on-site for use in the brewing process. Start your morning at Ben Lomond Historic Site, an old plantation used as a hospital during the Civil War. Tour the home, hear the stories of the soldiers who stayed here and experience what medicine during the war was like through live demonstrations. Later, go on an Architectural Tour of Manassas and see some of the area’s unique historical buildings. You’ll see the old Candy Factory, which made and distributed candy throughout the region in the early 1900’s. Other buildings you’ll see include the American arts and crafts style Speiden-Carper House¸ home to well-known local architect Albert Speiden, as well as the Manassas Railroad Depot, which was rebuilt after a massive fire in 1914. End your tour with a progressive meal in Historic Downtown Manassas. Sample the best of what the eclectic mix of dining options Manassas has to offer. Start with corn cakes stuffed with pumpkin flowers and mozzarella cheese at Mariachis Tequileria & Restaurant. Move on to your entree course at Okra’s Cajun Creole, a Manassas staple since 1998. Try their famous jambalaya, aromatic crawfish etouffee, or flavorful red beans and rice. End your meal at Jirani Coffee House with a cup of freshly made, fair trade, coffee and a delectable dessert from one of their specialty in-house bakers. Be sure to take your picture in front of the LOVE letters in front of a historic rail car before you depart!